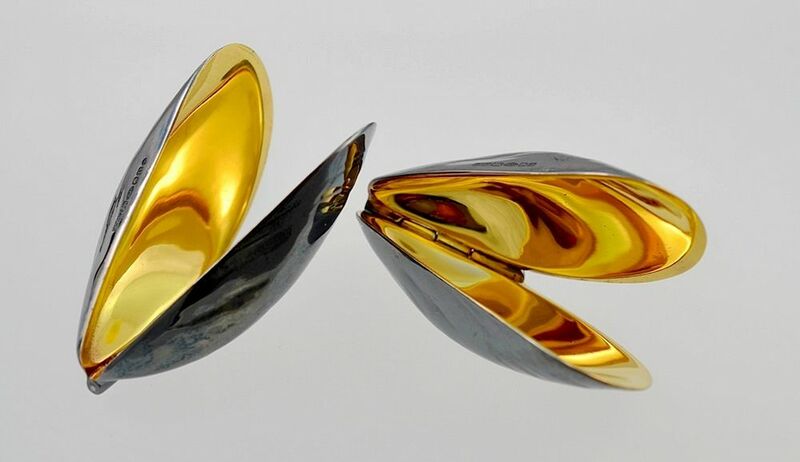 This wonderful contemporary mussel picker is by Ottewill the Kent silversmith and is made of solid silver, oxidised on the outside and gold plated on the inside. It is hinged on one side so that the mussel can be easily extracted from its shell. It is hallmarked Ottewill London 2013. A very stylish way to eat mussels or a lovely ornament!